During the school holiday, an English Enrichment Programme was held in collaboration with the United States of America Embassy at Kelantan State Library under the ECER iniatiative. 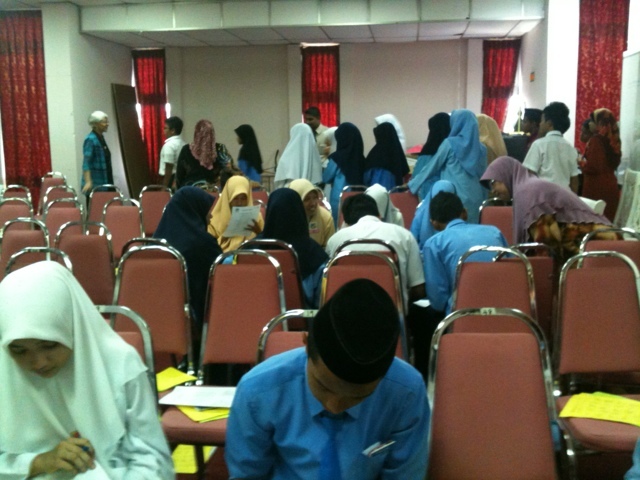 SMK Kandis sent 41 students from 1KBT and 3 Super as the participants of this exciting programme. 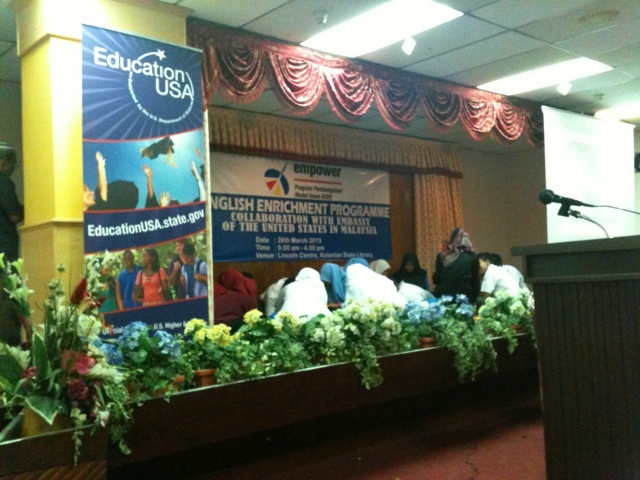 The chaperones were Head of English Panel, Pn Hjh Zaini and Secretary of English Panel, Miss Norbahira Mohamad Nor. 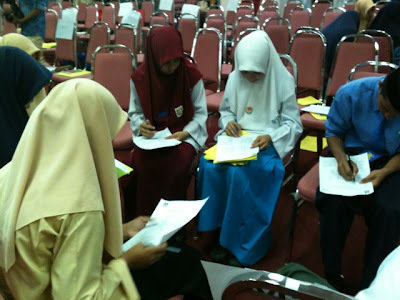 Overall, 120 students were involved from all over Kelantan. There were three fasilitators from USA. Thanks for teaching us Kelantanese!